You have big dreams and major goals for your life. You want to be a leader, fulfilled and fully realized, always able to take what life throws at you and stretch beyond the status quo. But for some reason, you never quite get there. You just aren't living up to your potential, and you don't know why. · Know: Discover the principles for fulfilling your God-given potential. · Show: Learn how to model the principles so others can see them at work. · Go: Roll up your sleeves, get out into the world, and live what you've learned. · Grow: Experience living at your full potential, continually assessing your progress. As a result, you'll gain considerable hope for the future, which in turn will give you power to overcome in the present. 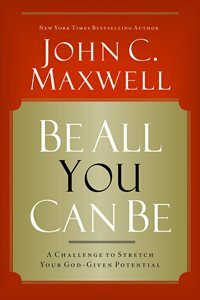 Successful living and leading starts now: Accept the challenge to Be All You Can Be.